What happens when schools, regardless of governance, work together to enrich student learning? This happens: a “Hackathon,” born through a collaboration between KIPP Lanning Square Middle School (KLSM) in Camden, one of Camden’s hybrid traditional/charter schools (also known as “renaissance” schools) and a private Jewish day school called Kellman Brown Academy (KBA) in Voorhees. 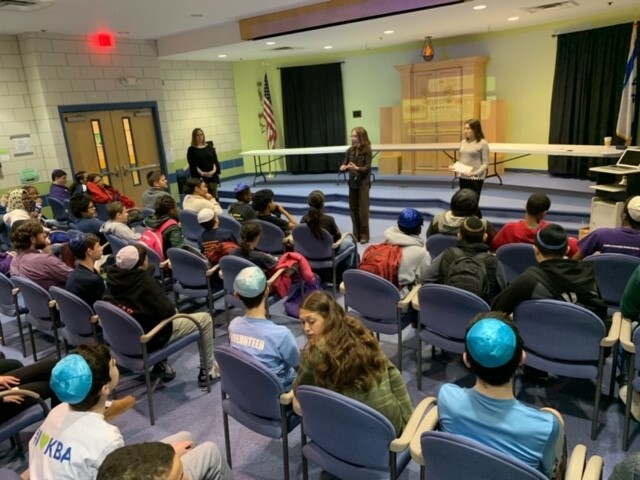 Last week 25 students from each school met for two days at KBA to produce devices intended to help people with visual disabilities, an example of the Jewish principle of Tikkun olam (in Hebrew, תיקון עולם), or repairing the world. Fifty students, half of them from KLSM (almost all Black and Latinx and 96 percent eligible for free and reduced lunch) and half of them from KBA, all Jewish, worked together to figure out new ways to assist visually-impaired people. 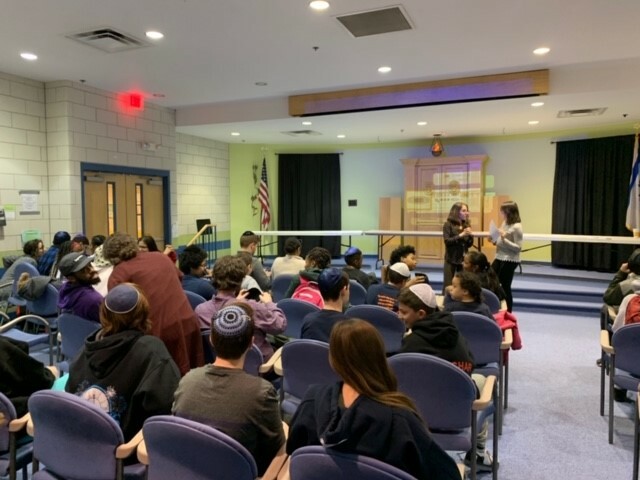 The program was sponsored by the UK-based Jewish Interactive, which aims to bring together “teenagers from different community backgrounds for a two day extravaganza of problem-solving and inspiration.” The KIPP/KBA collaboration is Jewish Interactive’s first program in America. I spoke to Bryan Pawling, who teaches 8th grade science and 7th and 8th grade STEM at KLSM, and Sydney Maisel, Development Manager at KIPPNJ. With the demographics so different, I asked, was it hard to foster collaboration? Nope. The first day students were broken up into ten groups of five, with a mix of both KDA and KIPP kids, all who had experience in coding and programming through their separate schools. The first day, a Wednesday, was spent on icebreakers and experimenting with various devices provided by Jewish Interactive that required the use of little bits, micro-bits, and Makey Makey bits that turn everyday conductive objects into triggers that control circuits and computers. On the second full day of activities, the teams built prototypes of a security system for the blind. Some of the ideas produced by these talented students included a pressure pad sensor in the shape of a doormat, a motion sensor that would make audible noises throughout a house and a sensor that went off when it was hit by a door handle. After the students’ planning time was up, they presented their projects to judges who included local defense contractors, IT professionals and folks from other professional fields. Bryan explained (to this technology-impaired writer) that the kids used strokes on their keyboard to hook up electrodes to a device. For example, to improve the life of a mute person, students could devise a Makey Makey with programmable responses, using a computer program called Scratch so that the person using it could push a button and produce the desired words. Plans are afoot to make that happen. Maisel reports that she is talking with KBA about a joint program in the fall called “Names, Not Numbers.” This will be a project that educates students about the Holocaust, followed by interviews with Holocaust survivors. The students will then create oral histories, both video and audio, for posterity. As for the KIPP students, Bryan reports, they were so inspired that they are working independently — outside of their STEM electives and the robotics team he runs (with partial funding through the University of Pennsylvania) — to hone their skills for the next competition with KBA. Enjoy the pictures! Previous PostIn Jersey City the Teacher Union Is Bargaining On Both Sides of the Table. Last Night One Ethical Board Member Tried to Uphold District Integrity. Next PostPeople Show You Who They Are, Including The Head of Student Services At The New Jersey Department of Education. New Info From Asbury Park.